Painted Harvest Stamp Set by Stampin' Up! 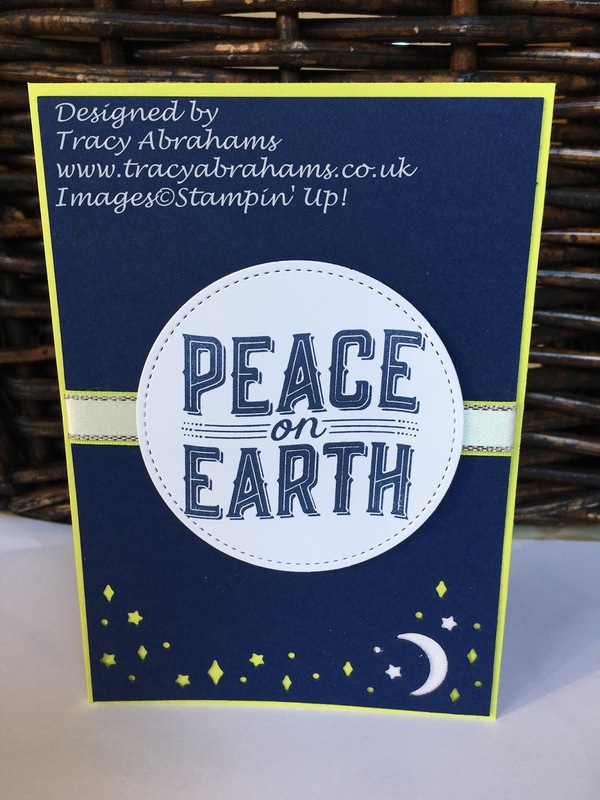 I wanted to share this beautiful card with you today as it's made with one of my favourite stamp sets from Stampin' Up's Autumn/Winter Catalogue. It's called Painted Harvest and it's such a great stamp set and makes the prettiest cards it doesn't matter what colour you use the images always look so cute. On this card I used a base layer of Powder Pink card stock and then I matted and layered Crumb Cake and Whisper White card stock. I stamped on the Whisper White card with Powder Pink and Berry Burst Ink. 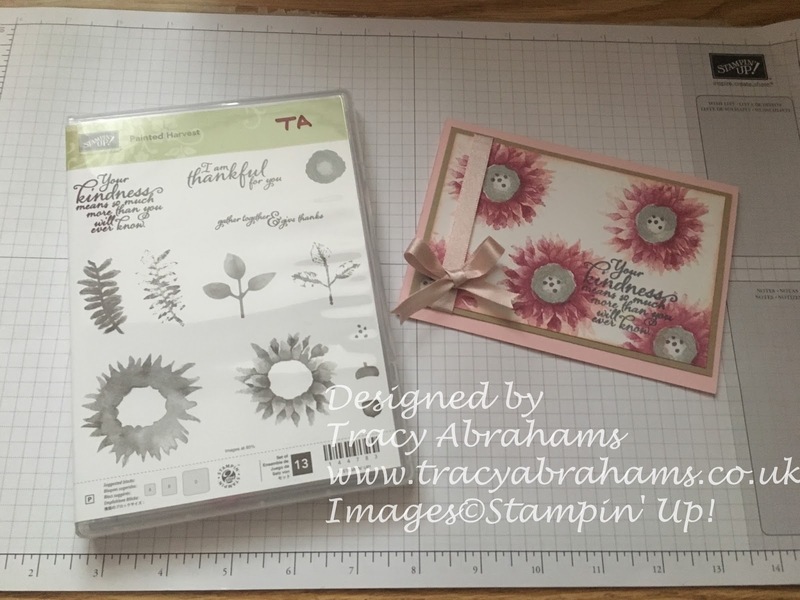 I took the larger outer layer of the flower as this is a two step stamp and I stamped that in Powder Pink and then I stamped the second layer the smaller inner layer of the flower with Berry Burst. The inside of the flower I stamped in Smokey Slate and the little dots on the inside of the flower were also stamped in the Smokey Slate. I used the sentiment from the stamp set and stamped that in Memento Ink. I also went round the edges of the Whisper White card with my Sponge Dauber with the Powder Pink ink and just added some colour I call it smooshing or distressing the edges :). The last think i did was add some Shimmer Ribbon in Powder Pink and stick the card together and hay presto I had a super cute card in no time at all. Can you tell I love Stampin' Up beautiful ink colours I especially love the new Berry Burst and Fresh Fig together on these items. I loved making the card and hope you like it, if you'd like to see more products please click on the links under the pictures and please use my hostess code PUWXQKZ4 if your purchase is over £20 and under £150. 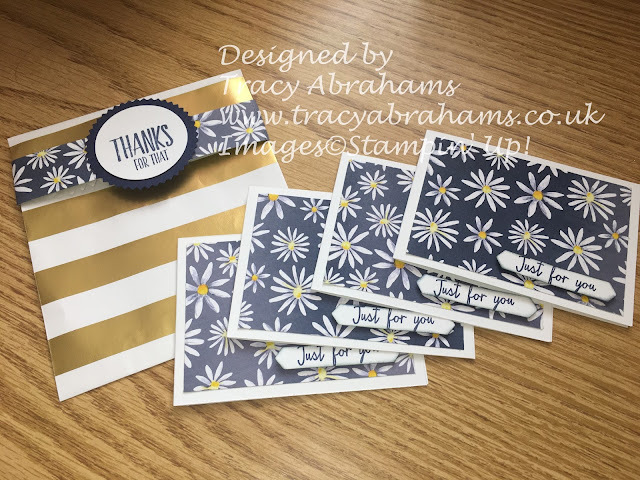 I love to send out a Stampin' Up! gift and hand made card. Take care and pop back soon to see what other things I've made. 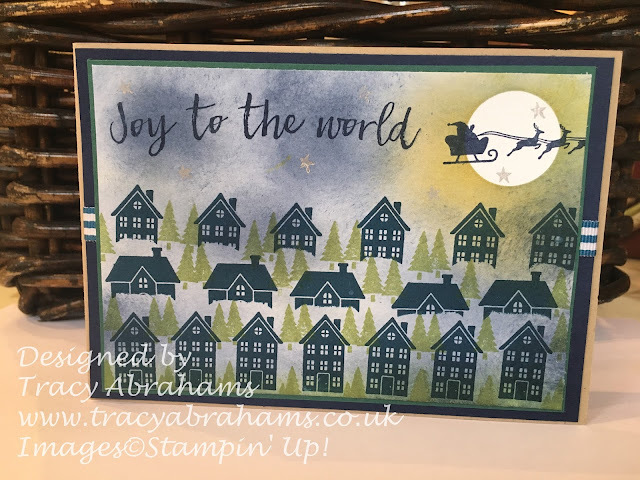 Hearts Come Home Christmas Card - Stampin' Up! I wanted to share with you a super card I made recently using the Hearts Come Home Stamp Set it's one of the sets in the new Autumn/Winter Stampin' Up! Catalogue, and I really think its a lovely set with some cute images and sentiments. I masked off a small circle in the right hand corner with a post-it-note using the 1 inch circle punch, I then stamped the houses in the bottom row in Night of Navy, I then covered the bottom row of houses with some scrap paper and stamped the next two row going up the page, I wasn't too precise but i just wanted the idea that the houses were behind each other. That's the fun thing about card making you don't have to be an expert you just try things and see where it takes you. I then stamped the little tree from the stamp set in between the houses in Old Olive. After all that was done I used Night of Navy and sponged it all over the page except for about 1 inch round the circle which was covered with the post-it-note. I then went over it again at the top so it looked like storm clouds just this time slightly heavier, I went round the post-it-note with Daffodil Delight and Pumpkin Pie, so it looked like the moon was shining. After taking off the post-it-note I stamped the image of the sledge with Father Christmas in Memento Black Ink across the moon and used the little tiny star to stamp in silver. The sentiment is from the set and I stamped that in Night of Navy too. I loved the finished cards and wanted to share with you how easy it is once you get started. I hope you like my card and if you would like the Stamp set you can click the link under this picture. This stamp set also comes in a bundle with co-ordinating framelits which would give you a super die cut image as well, click the link under the first picture of the card to go to that link and take a look. If you do buy from me and use my hostess code PUWXQKZ4 I always share the hostess rewards with you and send out a super treat of Stampin' Up! goodies plus a handmade card. Have a fun Sunday. Wow!! 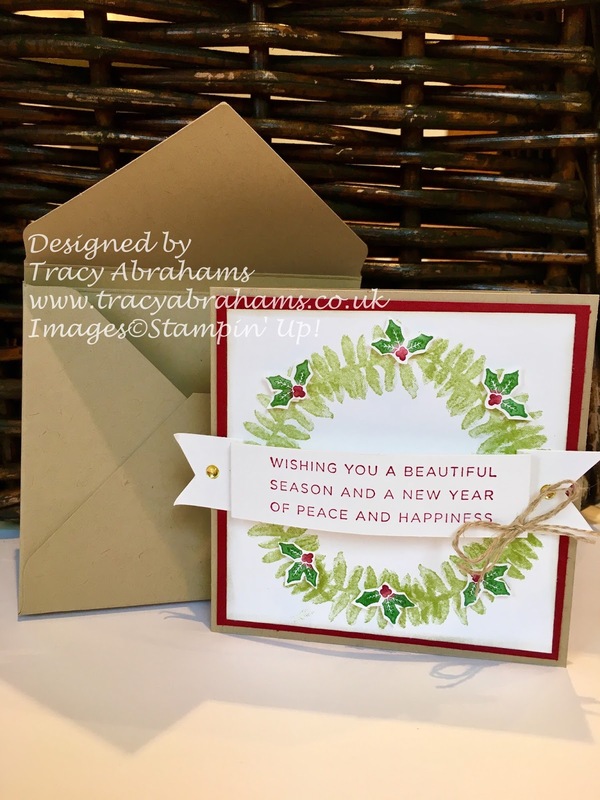 I have so many fabulous offers to tell you about from Stampin' Up! this October. One of the best one's is the Designer Series Paper offer which is on all through the month of October. There's also another great Offer this month and It's for the World Card Making Day on the 7th October and Stampin' Up! are offering a super discount of 15% during this period on lots of selected Stamp Sets and some crafty supplies. There's lots of Stamp Sets on a discounted price from the 1-10 of October so don't delay in taking a look and seeing the bargains you can get hold of. I've already placed my order for some Very Vanilla Note Cards and Envelops. There's also a super deal on the Fast Fuse which I really love as they are super sticky and are ideal for card and box making. Click here and take a look at this great offer remember to scroll down the page to find it. There's so many offers this month with Stampin' Up! I'm stocking up on all my essential ready to make lots lovely of cards. Please use my hostess code PUWXQKZ4 to get yourself a share of the hostess rewards and a lovely hard made card. I'm so sorry I haven't managed to post recently, I've a bit of a back problem and I've had such a terrible back ache that sitting at the computer for too long hurts :( but enough about me. I wanted to share with you lovely people a super cute little project I completed recently with the Painted Harvest Stamp Set. This stamp set is hidden at the back of the Autumn/Winter Catalogue on page 49. 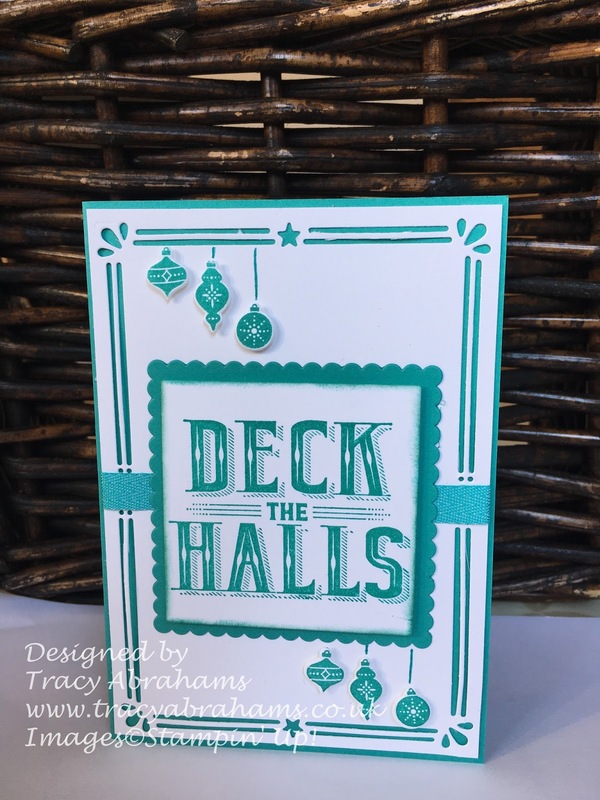 It's not one that jumps out at you at first but it makes the most beautiful cards and projects and not just for Christmas. I made this little card 4cm x 4cm with layers of Crumb Cake, Cherry Cobbler and Whisper White. The base is 8cm x 4cm and folded in half at 4cm in Crumb Cake, the Cherry Cobbler is cut at 3.5/8cm x 3.5/8cm and the Whisper White is cut at 3 3/8 x 3.3/8cm . I layered the card stock one on top of the other and then I used the leaf stamp and stamped it all the way round in Old Olive Ink on the Whisper White card. I used the little holly stamp from the Carols of Christmas stamp set and my Stampin' Write Markers in Cherry Cobbler and Garden Green i used the pens to colour the stamp in and then stamped them 6 times, I fussy cut them out and placed them on the leaf design as you can see below. The sentiment is from the Hearts Come Home Stamp Set and i stamped that out and placed that on the front of the card. The envelope was made using the Envelope Punch Board which is a super piece of equipment to have and is so easy to use. I needed an envelope that was bigger in depth then normal so I just adapted the measurements to make it deeper. I had a lot of fun doing this little project and hope you like it. If you would like to take a look at the stamp set or the envelope board you can click on the purple writing under the pictures and it will open the page for you, of if you would like to see the catalogue you can click at the side of this page. Please use my hostess code PUWXQKZ4 to get yourself a handmade card and gift, if your order is over £20 and under £150 the hostess rewards will go straight to you. If you wish list is growing why not join my lovely team of ladies. 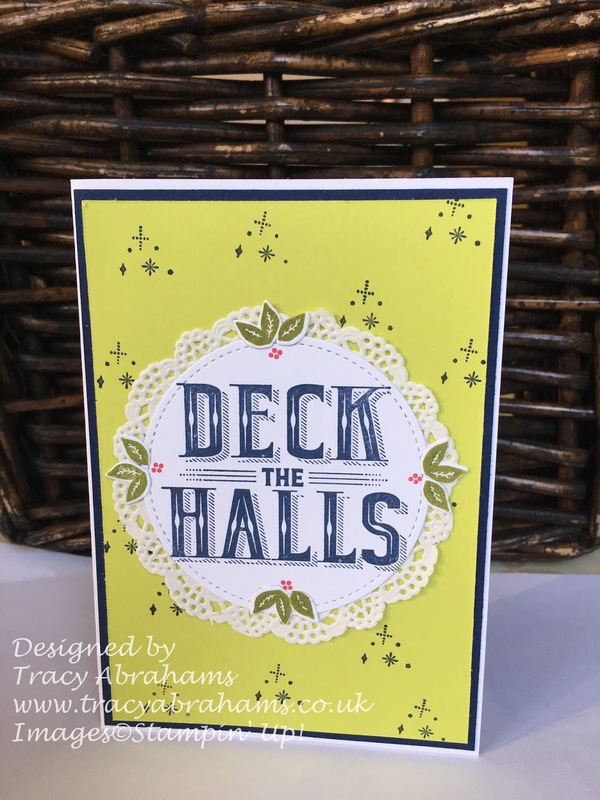 It's never to early to start with your Christmas Cards and Stampin' Up! are always on the ball with lovely on trend bundles like the Carols of Christmas Bundle which has a super 10% discount. The bundle has a great stamp set with 13 stamps, including 2 lovely large sentiments to make your cards super cute. The bundle also comes with a packet of 11 super dies that not only co-ordinate with the stamp set but there are two that give you the ability to add extra interest to your cards with a border effect. This is the first card i made using the bundle as as you can see i have used one of the dies twice round the edge of the card to make this super boarder effect on the card. The large sentiments are so lovely with this 3d and shading effect on them. On the card above I used another of the dies at the bottom of the card to give this sweet night time effect and can you see I added some Dazzling Diamonds Glimmer Paper behind the moon to give it a wow factor. 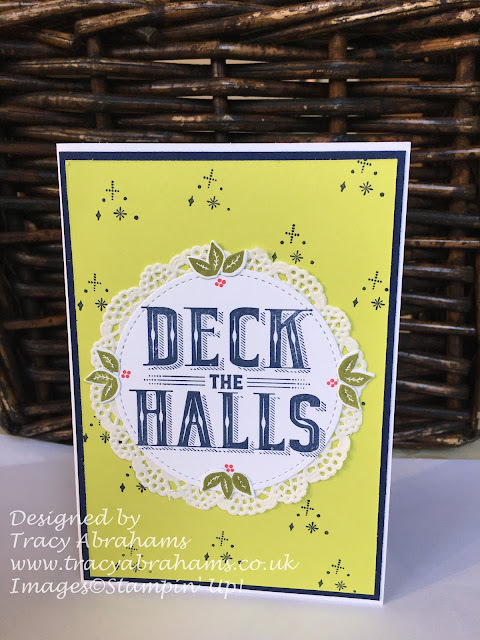 So easy to do and a super quick card to make. This card took no time at all as the sentiments are so great, I just used the sentiment and added some little holly leaves and berries round the edges and hey presto it was done. The last card I made used one of the dies in the set to make these trees aren't they lovely and they sparkle so well in the light. I hope you can see the sparkly because they look so cute close up and anybody receiving one would love it. This is a great bundle if you want to make some super cards all ready for Christmas it's on an early release and you can get it NOW before the new Autumn/Winter Catalogue is released on the 1st September. Just click below this picture or below any of the cards to take a look online in my store. If your thinking of getting this super bundle remember to use my hostess code to get yourself an extra Stampin' Up! gift and hand made card from me. The code is SK9WFRAW. Have fun and pop back soon to see what else I've been up to. Stampin' Up! Baby Card Using Moon Baby Stamp Set + Brand New Thinlits!! I wanted to share with you a baby card I made recently using some brand new Thinlits from Stampin' Up!. The thinlits are called Card Front Builder Thinlits Dies and they come in the early release bundle called Carols of Christmas. The bundle comes with a super 10% off discount and is the only bundle that has been made available before anything else from the new Autumn/Winter Catalogue. I loved making this card because the Moon Baby stamp set is so sweet and the image of the baby above the moon is super cute. I made the card by layering Melon Mambo and Powder Pink card stock. 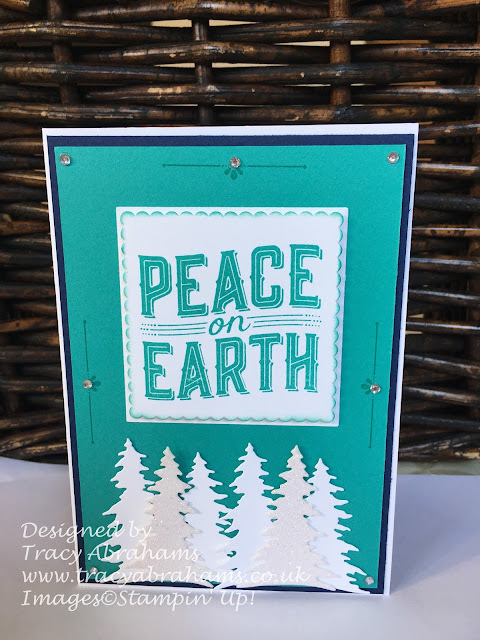 Before I layered these colours together I used my brand new Card Front Builder Thinlits Dies to cut out the star shapes in each corner. I placed some Dazzling Diamond Glimmer paper underneath the Powder Pink Card stock so you would get a super cute sparkly effect from the front. I then stamped my image on Whisper White paper from the Moon Baby Stamp set and coloured it in using Watercolor Pencils and my Blender Pen. The colouring is so therapeutic and so lovely to do. I smooshed the edges that's a technical term :) with some of the Melon Mambo ink and layered that on some more Melon Mambo and Powder Pink Card and popped it on the front of the card using Dementionals. The sentiment is also from the Moon Baby stamp set. The last thing i did was punch a hole in the front of the panel with the image and pop some of the lovely new Powder Pink finely woven ribbon through and make a pretty tag top. The card came together very quickly and I think looks great, and the added dimension of the corners make the card look really lovely. You could make the card in any colour you liked. The New Carols of Christmas Bundle is available right now through my online store and all you have to do is click on one of the pictures to go straight to the store, and if you get it as a bundle you'll get 10% off, making it a great deal. Please use this months Hostess Rewards Code to get yourself the bonus of a Stampin' Up! gift and hand made card from me. The code is SK9WFRAW and you use when prompted by the site. It is for any order over £20 and under £150. If you spend over the £150 please don't use the hostess code as the hostess rewards go directly to you, to use on whatever extra goodies you would like to pop in your basket. Have fun and pop back soon to see what other cards I have been making. It's been a mad week but a few days ago I made this super cute gift bag and cards and I wanted to share them with you because I think they look so gorgeous. I used the lovely Delightful Daisy Dsp (Designer Series paper) and one of the new gift bags to put the cards in. I made a belly band and stamped a sentiment so it all looked super cute. The paper is so pretty and I only used one sheet to make all these cards. This was was for a friend. As you can see above I just used a super small piece and it made the card look fab!! They were all made with just one piece of Dsp paper as the focal point, the paper goes such a long way and you can make so many pretty things with it. 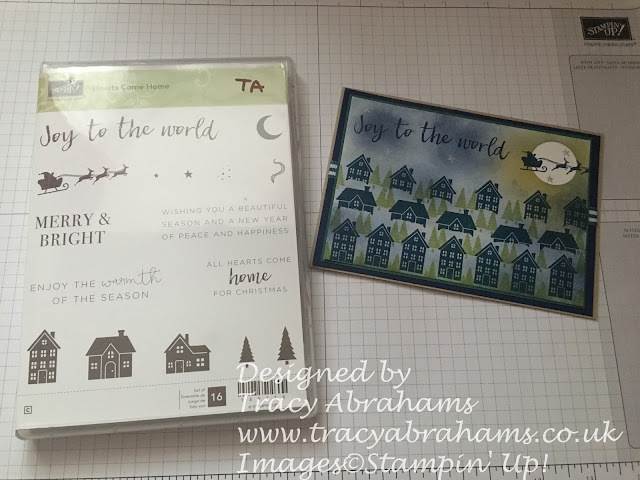 I'm also excited that during July Stampin' Up! have some super super offers available to everyone. For every £45 you spend during July you will receive a voucher coupon worth £4.50 to spend in August. You would receive an email with the special code on it on that you would use when placing your orders in August so its super easy. 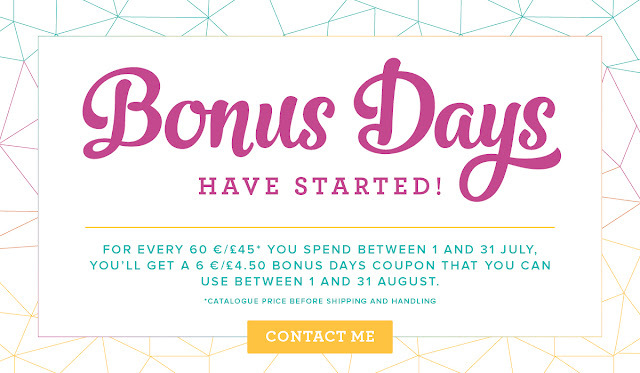 It's such a super offer if you have a long list of goodies just like me, that you have been waiting to get The voucher coupon will be emailed to you in August and you can add them together and spend them when you place your orders. The joining offer is so fab it means you not only get the starter kit which is £99 ( you can pick your own products from the Annual Catalogue) for £130 worth of goodies but you also get all the above essentials in July The essentials pack is work £65 so that means your getting £195 worth of products for just £99 so cool. I'd love you to join me in my small team, all the ladies are lovely and you get to meet so many great ladies you don't even have to do any parties if you don't want to you. You can just have the starter kit and enjoy the products but if you do want to have a business this is the ideal time to go for it and I'm always here to help. Click on the side bar to follow the link or give me a ring and I would be happy to answer any questions you may have 07949242830.